Richard A Romano Dental (Brooklyn) - Book Appointment Online! Dr. Richard A. Romano in Brooklyn, NY, is an accomplished dentist in the field of General and Cosmetic Dentistry as well as in Periodontics and Implant Dentistry. 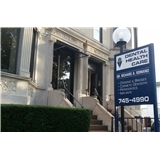 His comprehensive expertise in these four major areas of dentistry enables him to provide complete dental care geared for each patient’s individual needs. Dr. Romano graduated with honors in 1973 from the University of Pennsylvania School of Dental Medicine. Since then, he has continued dental training to keep abreast of all new developments in this rapidly changing field and strive for professional excellence. Most importantly, he received a certificate of General Practice from Cabrini Medical Center in Manhattan in 1974 and a Certificate in Periodontics (study of supporting tissues of the teeth) from New York University in 1978. In 1995 he became a Fellow of Implant Dentistry also at New York University. Highly recommend!! So happy I found this office. Everyone was so nice and helpful. Dr. Romano is very informative and doesn’t rush through the appointment. I’m definitely going back.